Two different subscription options bring even more features to the watch. 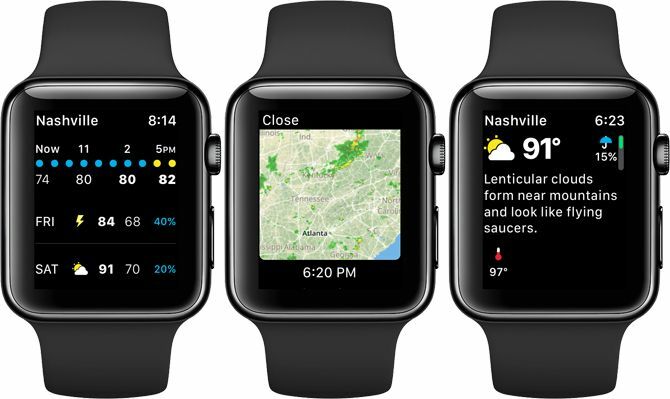 These include background updates, precipitation notifications, complication customization, and even an animated radar image. The app is completely optimized to work with the Apple Watch Series 3 with LTE, so you can check the weather even away from your iPhone. While there’s no official WhatApp app for the Apple Watch, a number of third-party options will give you access to the chat service on the small screen. The best available is WatchChat for WhatsApp. On the Watch, you can easily view all your chats, including group chats. The app also lets you start a new chat directly from the watch. 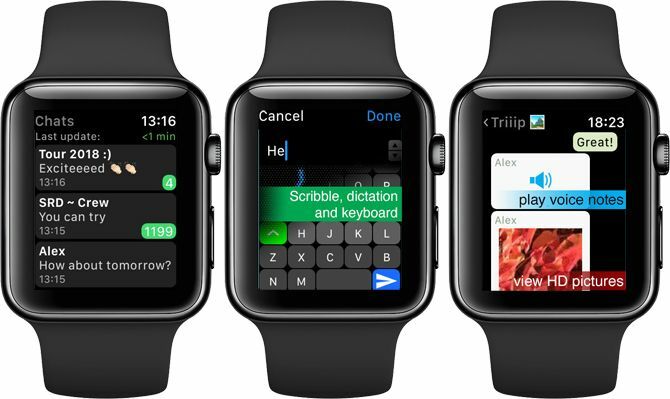 You can reply to friends and family using a keyboard, quick replies, dictation, and Scribble. It’s also possible to listen to voice messages and view pictures sent through WhatsApp. If you’re a WhatsApp fan, make sure you’ve checked out the best new WhatsApp features.